I have a new place that has become my favorite go-to right now. It's so good, I need to make another reservation for brunch this weekend. Thank you for the reminder! So if you HAVEN'T heard of Dirty French: now you have. The menu includes items that seem like they might be something you've heard of before - but believe me, they have their own special signature. This restaurant has actually encouraged this review -which, if you've read any of my posts in the past, you know it's been awhile since I've updated. The menu is interesting, the decor is quirky and the service has been spot on. I'll post a few photos and encourage anyone who reads this to just try it out. It's a place for locals. Tourists. Really anyone that enjoys food... but extra bonus points for the appreciation of food. 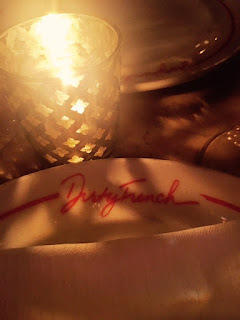 Dirty French is where this place really hits hard. Go with friends. Do a date night. Take yo' self out for a night on the town... but TRY it. Make that reservation and enjoy the decadence and the scene. Oh - and if wine and cocktails are your thing? This is an excellent venue for that. While dining, I've seen celebrity chefs and well-known Hollywood actors make their way to this location, too. I'm not exactly a star searcher but, I love to see how others react when they see a very familiar face in the room. 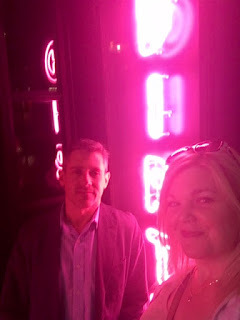 I should also mention this is a great date location. Dirty French is a place to meet with your friends... your gal pals, your bros, whatever is your scene, it's here. It has a great vibe overall. 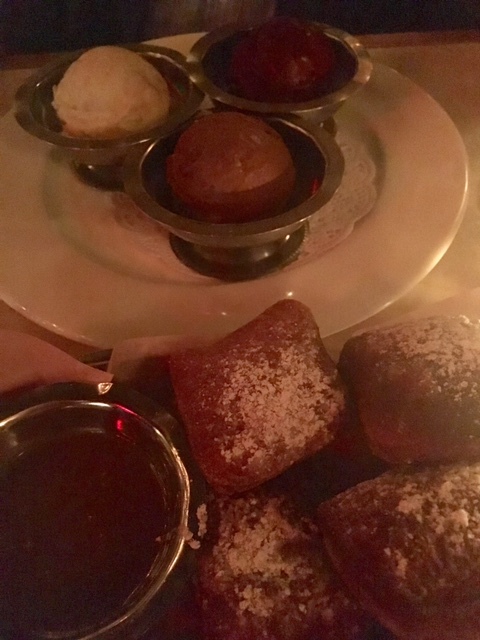 Beignets and Gelato for Dessert, Yes Please! And on the weekends, it's a perfectly suited spot to take the family for brunch. They have pancakes, duck hash and inverted egg sandwiches on the menu, among others.The outdoor area that they have is gorgeous - at least take a peek at the space if you stop in. Because you should do JUST that: stop in... order some delicious food and see what makes NYC such a delicious culinary destination.